"Let's Put The Hill Country Back To Work"
This page focuses on opportunities for employment in the Texas Hill Country. It includes resources very near to the Hill Country as well because of the interest in commuter-based jobs for those living in or near the Hill Country. On many of these web sites you will find job openings from an area considerably greater than the narrow title might suggest, so consider them to be more regionally oriented than strictly defined to the particular city. Note, most newspaper-oriented publications post job listings in the "classified" section. For job seekers, these web site job listings have been carefully selected to efficiently focus your research. The power of this convenient resource is that you can very quickly "work the list" by just clicking one source after another to directly see all the job postings in the Hill Country area. Simple, direct, efficient, powerful. The links below take you past the home pages and go directly into the actual job postings or to a filter page to narrow your search. For employers, many of these listed resources should be very helpful for announcing your job openings. Good luck in your job search and employment process! ALERT !! Be VERY CAREFUL about entering personal information and determine all charges that will apply to you when dealing with any site with which you are not already familiar. Protect your identity as best possible. We are not in a position to recommend or endorse any web sites. Proceed at your own risk. Fredericksburg Standard: Newspaper, Note, scroll to very bottom, and click on "Classified's", then "Current Edition". One free trial viewing, then minimum $10 for 3 months of online access. Fredericksburg Chamber: Jobs at member companies. An extensive list is maintained and published on their web site with weekly updates, but you cannot access it from their web menu. However, you can call and ask that the list be emailed to you; or ask for each week's web address for the jobs list. Ask them to put a link in their web menu! Fredericksburg Jobs: Consolidated source for Fredericksburg area jobs at city, county, chamber, hospital, and ISD. Science Mill: Permanent and summer jobs in JC and surrounding area. Chamber: Member jobs, combined with Lago Vista, see below. San Marcos Record: Newspaper, click on "Classifieds"
Note: Most of these job boards have a national (and international) scope. 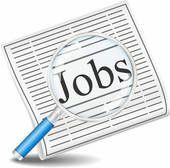 Federal Job Listings: usajobs.gov. The free web-based job board enabling federal job seekers access to thousands of job opportunities across hundreds of federal agencies and organizations. At any moment in time, there may or may not be any posted job openings on these sites. Check back often for new postings. For employers not listed below, be sure to use the menu above (City Profiles) to find a city of interest and then go to the Business Directory on the target city page you selected. Many of these job board web sites require you to enter a few key search terms to allow them to narrow the selection from their database. Some will accept the search term "hill country texas" and other won't. Instead they require a city name or postal zip code. Job Applications: Provides printable job applications that allow users to apply directly to employers. Hundreds of printable and online applications for financial institutions, airlines, retail and department stores, pharmacies, grocery stores, and companies in many industries. Plus hundreds of unique, proprietary employee videos with interviews of employees describing inside tips on what it's like to work for their company, and how to get a job with their company. Texas Workforce Commission: Includes access to state and private job listings, job search resources, benefits, and more. CHRISTIAN JOB CORPS OF KENDALL COUNTY: http://www.cjcboerne.org. Anyone 18 or older who is sober and drug-free may apply for enrollment in this free 12-week program that provides you with job and life skills training, including Microsoft Office 2010 computer software. Curriculum prepares you for today's workforce and life's challenges, and builds character that employers are looking for. Participants also receive a meal each class evening. JOB HERO: www.jobhero.com. Resume and cover letter samples and related resources. LINKED-IN: This professional network provides free services to its members, and this service includes high quality job postings my members. You can join at www.linkedin.com. No start up or on-going fees for basic service. Then click on the "Jobs" tab. 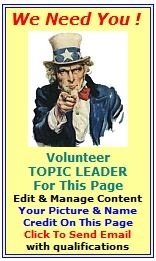 This is an excellent resource . . much like a Face book for professional business people. RESUME MAKER: http://sclc.resumemaker.com/main/home.jsp. On-line service assists with resume preparation, and has additional resources to help the job seeker. Fee required. TEXAS WORKFORCE COMMISSION - ALAMO WORKFORCE DEVELOPMENT, INC: Job finding services, TANF and food stamps information, job preparation, and job placement services. Texas Workforce Commission. Includes access to State and private job listings, job search resources, benefits, and more. >> The Portal welcomes your suggestions for helpful resources to post here.